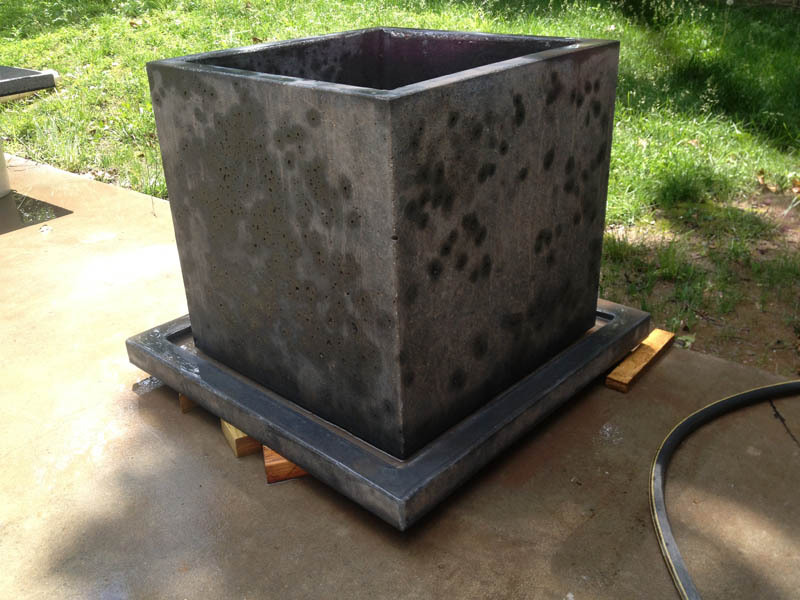 If your reluctance to consider decorative concrete is due to a weight issue, allow Concrete Creations to welcome you to the world of Glass Fiber Reinforced Concrete (GFRC). GFRC is one of the most popular and innovative building materials used throughout the United States. As part of the composite of sand and cement, glass fibers are used to reinforce the concrete much like steel rods are used in conventional concrete. The inclusion of glass fibers produces a product with a much higher flexural and tensile strength than normal concrete and can weigh up to 75% less. GFRC is a lightweight, durable material with superior strength that can be cast into nearly unlimited shapes, colors and textures and used to fabricate more complex designs. Structures may be thinner without sacrificing strength making it less susceptible to cracking so it can be used to construct larger pieces without the need for support structures. Naturally friendly to the environment, GFRC has a much lower environmental impact than conventional concrete, stone or other materials. Made with minerals: cement, aggregates, glass fibers and, in some cases mineral pigments and special polymers, GFRC is designed to be long lasting and earth friendly. As a leader in the industry, Concrete Creations has the knowledge, training and experience to design and create your custom GFRC structure, whether it be a dining room table for twelve, a wall, or shower. GFRC, like conventional decorative concrete, can be customized to suit your style preferences. The natural beauty and freedom of expression characteristic of concrete lets your imagination run wild. Color knows no limits, while shape and texture bow to your command. Concrete can be anything and everything for it is not limited by what has been done before. View the concrete creations portfolio.